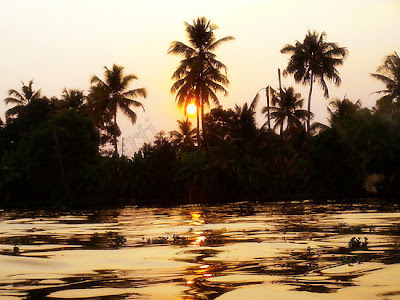 The 3 hour long house boat ride was the highlight of the trip, where we got the opportunity to steer the boat, watch people go about their daily routine on a tiny boat, while many others were seen travelling with their cycles on these boats. Step out of the houses and you were on the shore of these back waters. Wow, what their lives must be like was the only thought running in our heads. As the sun began to go down, we had nearly reached the point that was an indication to do a U turn and head back to our resort. This is probably the 1st monumental that showed the world what Mughal imperial architecture was. 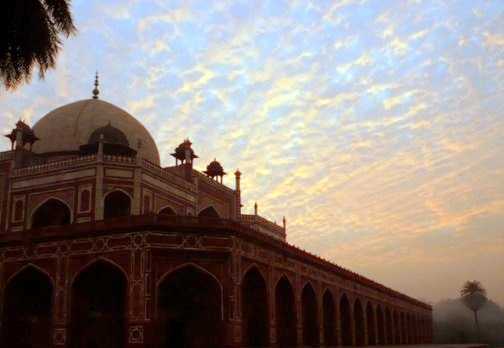 The tomb was constructed to mark the grave of the Mughal Emperor Babur, Humayun's father, the Ruler who founded the dynasty and one who had requested he be buried in a garden. I noticed the gardens were divided into four parts by water channels that had paved walkways all through the length.. I overheard a guide tell a couple from Spain that the walkways are called khiyabans. The entire monument has been created with red sandstone with white marble engravings and ornementations. Apparently the top of the dome is over 140ft from the ground. There are numerous high arches and intricately carved windows which add to the beauty of the place. 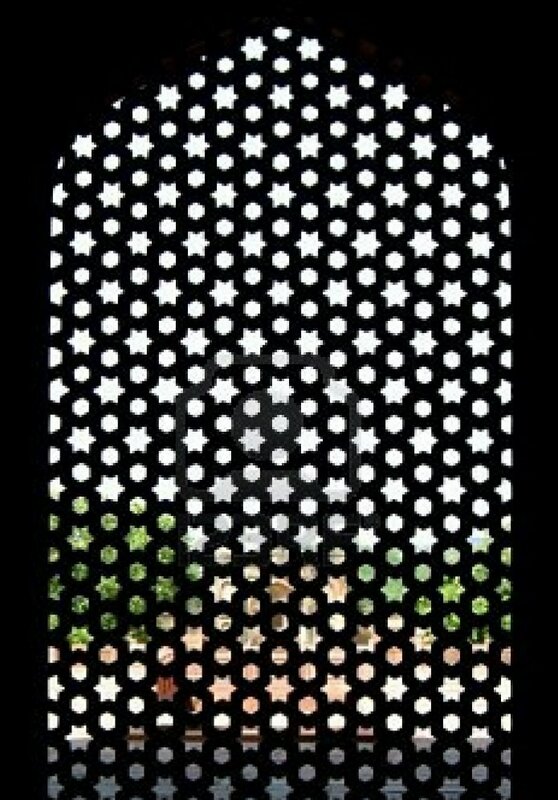 As i made my way inside Humayun's tomb, i noticed that each of the main chambers has within them eight smaller chambers. When i enquired on the total number of chambers i was told there are nearly 124 vaulted chambers in total. 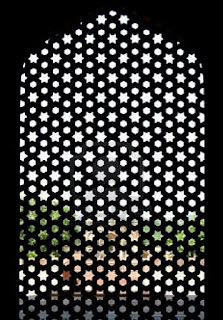 Humayun's sarcophagus was in the central domed chamber.. His head was pointing south, and the grave was facing the east based on Islamic practices. There were other sarcophagi inside the vaulted chambers, which were added on later- his wives, Princes and so on... There was a Box of writing instruments on top of the grave which indicated it was a male body held within and a slate for the woman. How cool was that! With my head resting on the window pane, i let my wind wander as the Dave Mathews Band belted out Rapunzel.. The cool breeze managed to sneak in through the gap in the windows, running a shiver up my neck while my hands searched for the elusive shawl.. I was lost with my thoughts, reflecting on life, wondering if it would have been any different had i realised what i wanted to do early on in life.. I brushed aside those thoughts and decided not to worry about the past, knowing that the Tomorrow was what i need to look forward to.. The lady in the seat next to mine was tossing and turning, i could feel her every movement with the little squeaks from the rexin seats, but the momentary disturbance was over and my thoughts engulfed me once more. I checked the time one last time and noticed the clock glowing 3.15am. Smiling at the prospect of what awaited me, i was off into the wonderful world where there was none but me, and there were no advices, nor where there any chaos. I was in heaven, enjoying this blissful moment with myself. Before i knew it, i heard the bus brake to a halt and all the passengers bustling about within the bus looking for their bags and trying to come awake and alight the bus. I hopped off the bus with a smile on my face before heading off in search of an auto-rickshaw to take me to the guest house. Those dos horas [2 hours] from 3.15 to 6.15 was the 2 hours i shall savor the rest of my life. It was the last day and we were finally allowed to talk! Yes, allowed to talk.. My friend and i had just spent 10, wait, it was almost 11days inside a campus, doing nothing but meditating,walking, eating, meditating, washing clothes, sleeping, walking, meditating, eating and sleeping once again! We were at the Vipassana center in Pune, Swargate! We planned the trip thinking it was going to be beyond painful, difficult for us to stay quiet for so long.. The 11 days of Vipassana where we were not allowed to utter a single word [ but for the few minutes spent with our gurus clearing any queries we had] and in the company of complete strangers in a beautiful serene environment went by not so fast, but we did enjoy them! Our days began at 4.30 am and ended at 10pm..
Amidst sessions of meditation, we had free time where we either slept, wandered the vast gardens, washed clothes or just sat in silence!! We were exhausted by the time night came and the last hour of meditation was done!! The program was a revelation of sorts.. It boosted our confidence, refreshing our souls and giving us a new lease on life and people! !